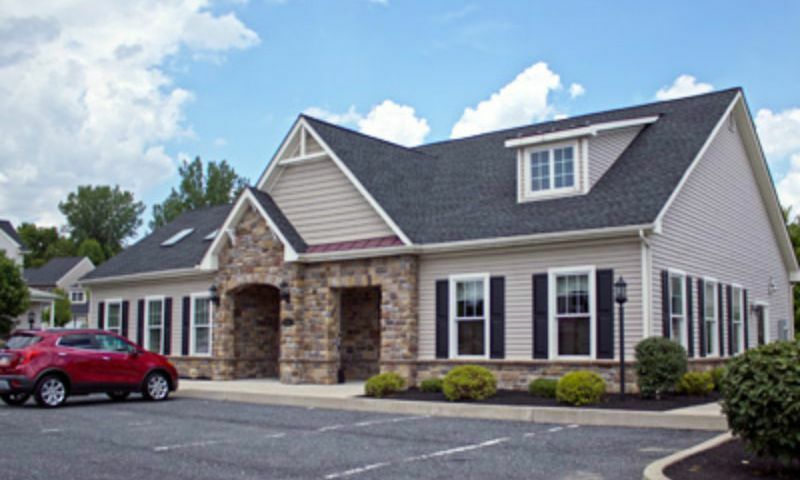 Briarwood Commons is a new 55+ community located in Whitehall Township, Pennsylvania. Local builder Spectrum Homes is building the 63 attached homes in this community. The clubhouse will the hub of social activity with gathering spaces, a kitchen, and game room. Briarwood Commons is ideally located in Whitehall Township with daily necessities, shopping, and big-city attractions all nearby. Residents of Briarwood Commons have access to a great set of amenities centered around the community's 2,800 square-foot clubhouse. An exercise room with cardio and resistance machines allows homeowners to start or maintain a workout routine. A computer room near the entrance is open to community members. A large multi-purpose room and attached catering kitchen will be the site of social gatherings and holiday parties. A game room with several card tables, a billiards table, and table shuffleboard make this an appealing venue to challenge neighbors to a friendly competition. There are 63 attached homes at Briarwood Commons being built by respected local builder Spectrum Homes. Five floor plans are available that range in size from 1,382 to 2,650 square feet with one to three bedrooms, two or three bathrooms, and attached two-car garages. All homes feature first-floor master suites with his and hers walk-in closets and spacious bathrooms. Kitchens with stainless steel appliances and granite countertops open up into great rooms with either ten-foot or twelve-foot cathedral ceilings. A wide variety of second-floor options from unfinished storage space to bonus suites are available to homebuyers. Living at Briarwood Commons means having access to great amenities while living in a beautiful community that has a park-like feel. Residents can enjoy community gatherings or holiday parties at the clubhouse or organize a regular cards or billiards night using the game room. The developers have taken special care to ensure the natural beauty of the area has been preserved and this is evident to residents when taking walks around the neighborhood. A homeowners' association provides common area maintenance along with lawn care and snow removal, giving residents more time to enjoy the activities and hobbies they love. Briarwood Commons is located in Whitehall Township, PA which is part of the Allentown Area. Routine shopping trips are easy to take care of with a Weis Market just a mile southeast along PA-145. A further five miles along PA-145 is a hardware store, two shopping malls with numerous retail stores of all kinds, and a wide variety of restaurants and other services. The historic downtown area of Allentown is about a twenty-minute drive from Briarwood Commons. Here, residents can enjoy shopping, museums, weekly farmers markets, and events at the PPL Center. Philadelphia is about 65 miles away while New York City is roughly 95 miles from the community making trips to either city convenient. Long-distance travel is easy with both Newark International Airport and Philadelphia International Airport just over an hour's drive away. Homebuyers seeking a stand out 55+ community in Eastern Pennsylvania will surely be drawn to the quality construction, amenities, and prime location of Briarwood Commons in Whitehall Township. Clubhouse - 2,800 Sq. Ft. There are plenty of activities available in Briarwood Commons. Here is a sample of some of the clubs, activities and classes offered here. 55places.com is not affiliated with the developer(s) or homeowners association of Briarwood Commons. The information you submit is distributed to a 55places.com Partner Agent, who is a licensed real estate agent. The information regarding Briarwood Commons has not been verified or approved by the developer or homeowners association. Please verify all information prior to purchasing. 55places.com is not responsible for any errors regarding the information displayed on this website.